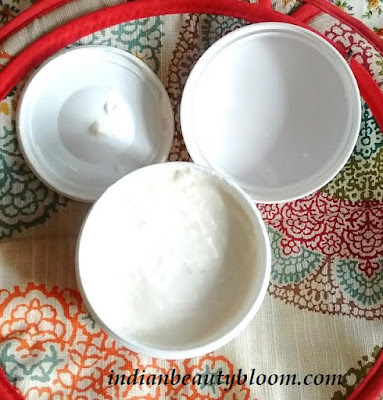 Back with one more product review from famous brand Mama Earth . 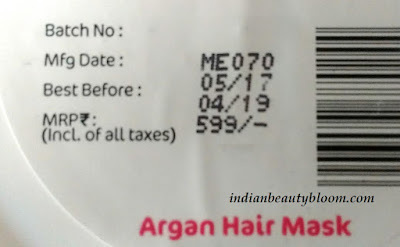 Today I am going to review it’s newly launched Argan Hair mask . 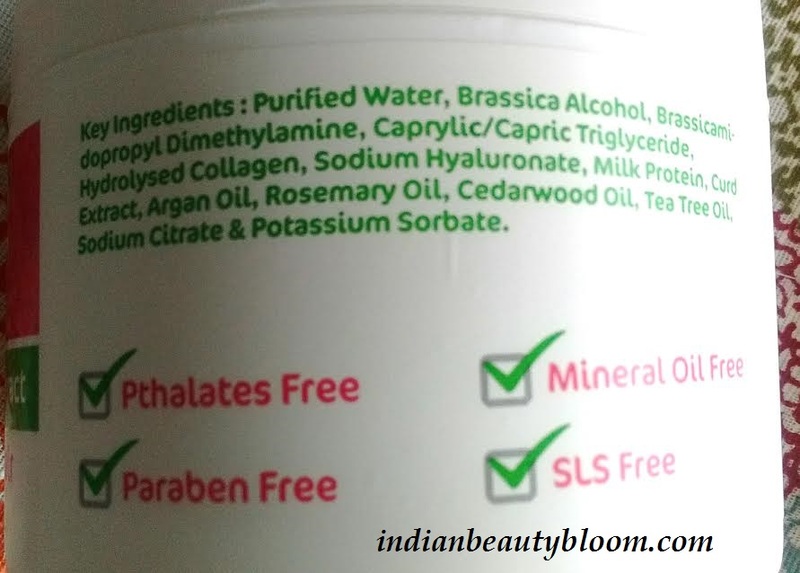 As we all know that after Baby Care products , Mama Earth has launched some Mama Care Products meant for Mama’s to take care of their skin & hair . 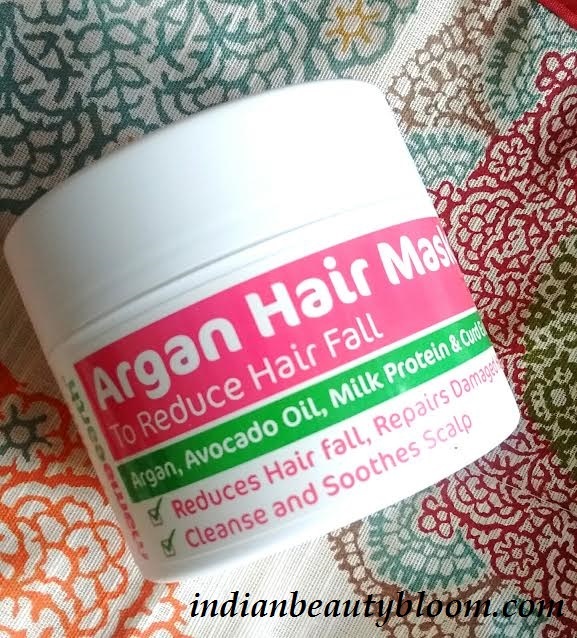 This Argan Hair Mask is one of the products in that range . This Argan Hair Mask is an excellent product with goodness of Aragn Oil , Curd , Milk Protein and Avacado Oil .It Cleanses and soothes scalp , repairs damaged hairs and controls hair fall . It can be used as a Hair Mask or as a Conditioner . The product is a white color thick mask . Has a strong fragrance similar to lime . 1. An excellent product with goodness of Argan Oil & Avacado oil which make hairs soft & silky . 2. Has goodness of curd and milk protein which prevents hair fall . 3. 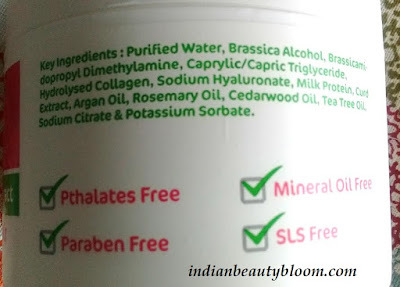 Also contain Tea Tree Oil whcih removes dandruff . 4.Also contains Rosemary Oil , Cedarwood Oil . 5. Free of SLS , Pthlates , Parabens , Mineral oil . 6. Has a nice Lemony Fragrance . 7. Makes hair Soft & Silky . 8. Controls hair fall to some extent . 9. Easily available on online stores like Amazon & Nykaa. 10. It’s a Dermatologically Tested product. 1. Some people might not like it’s tub packaging . The product claims to reduce hair fall , repair damaged hairs , to cleanse & soothe scalp . I am using this mask past few days . A new kind of product which I have never tried before . It can be used as a Mask or as a Conditioner . I am using it as a conditioner . After doing shampoo , I applied this on wet hair and left it for some 5-10 minutes and then washed it off with plenty of water . My hairs are looking better then before . It makes hair soft & silky and also helped to reduce hair fall to some extent . Hope you all liked this post and found it useful , share your experience if you have used this product.